An investment promotion event was held in Kuala Lumpur on November 22 to call for investment in Tay Bac urban area in Ho Chi Minh City. Dinh Khac Huy, head of the project’s Management Board introduced the major features of the area to Malaysian firms and its plan to become a modern satellite urban area with full living, working and entertainment facilities. 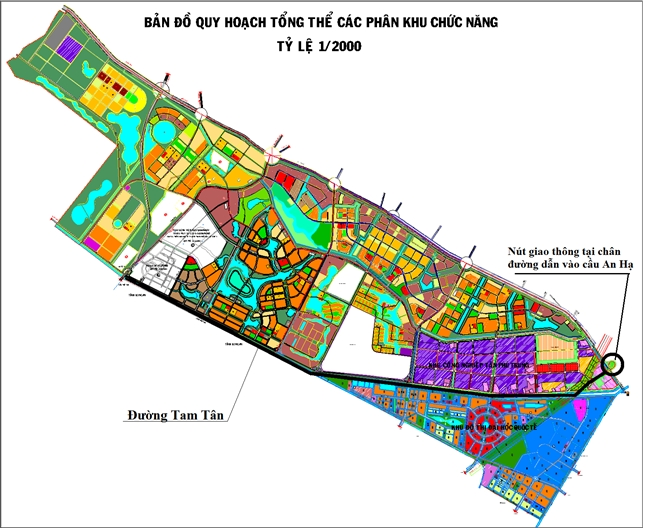 Covering about 9,000 hectares spanning Cu Chi and Hoc Mon districts of Ho Chi Minh City, the area is designed for 450 residents. Currently, it needs investment in technical and social infrastructure, and housing development. Huy said that by 2020, the city needs billions of USD to improve its infrastructure, a challenge for the city as the budget will only meet about 20 percent of the figure. He called for investors to engage in infrastructure and housing projects in both Tay Bac urban area and Ho Chi Minh City in general. He also vowed to create the best conditions for Malaysian firms to seek opportunities in the city, while calling for ideas from Malaysian businesses in building Tay Bac urban area. Meanwhile, Vietnamese Ambassador to Malaysia Le Quy Quynh noted that Vietnam and Malaysia have enjoyed rapid growth of economic, trade and investment cooperation with two-way trade exceeding 10 billion USD in 2016. Malaysia is one of the leading foreign investors of Vietnam with many big firms operating in the country. The diplomat said that the booming development of the real estate sector in Vietnam has opened up new opportunities for both domestic and foreign investors. Ambassador Quynh pledged that the Vietnamese Embassy will back trade and investment activities of Vietnamese and Malaysian investors in each country. Rusiah Mohamed from the Malaysia External Trade Development Corporation (MATRADE) lauded Vietnam’s efforts to promote investment in Malaysia, offering a good chance for local firms to access information to serve their business plans. MATRADE will work closely with and support Vietnamese side to encourage Malaysian investment in not only real estate but other fields in Vietnam, she said. At the event, Ho Chi Minh City authorities also answered questions from Malaysian firms.